At the beginning of any settlement structure, there is a close relationship between watercourses and cities. Those interactions enable communication and were considered a great economic opportunity. After the industrialization period, the connection between bodies of water and urban structures decreased. 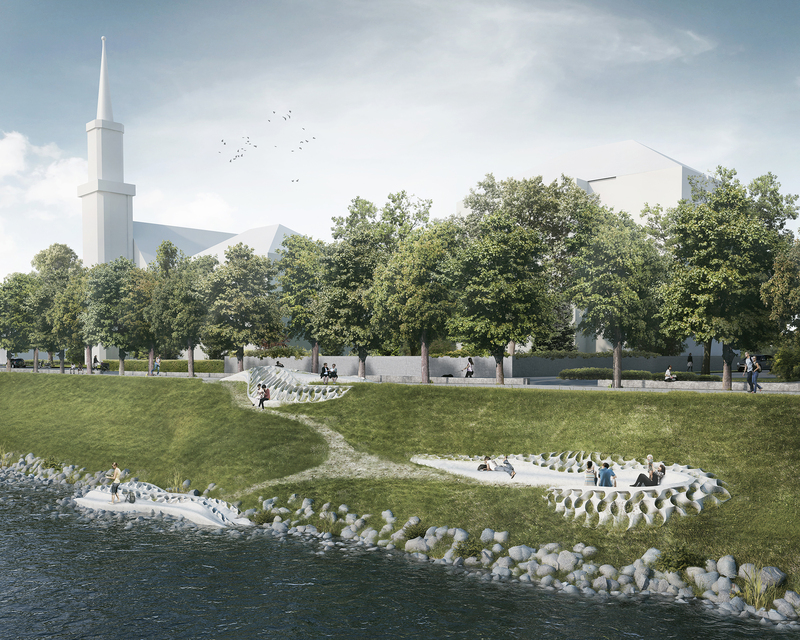 For many cities and especially Salzburg, the effort to reactivate and to transform the river banks into a leisure space only gained traction in the last half of the century. In recent decades, a number of proposals were considered, but rising water always posed a challenge to realization. 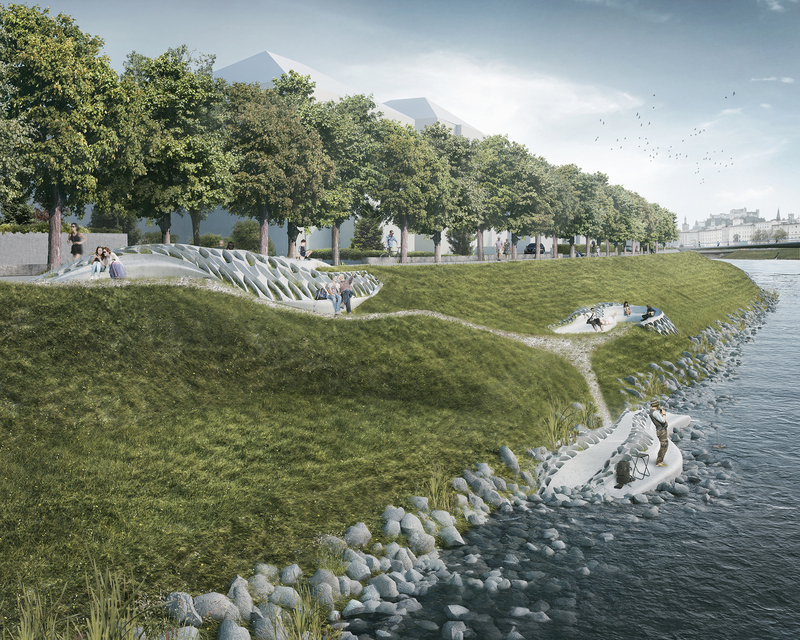 The project “Riverside Lounge” attempts to reconnect Salzburg´s river banks with the city center, while taking into account all relevant requirements. 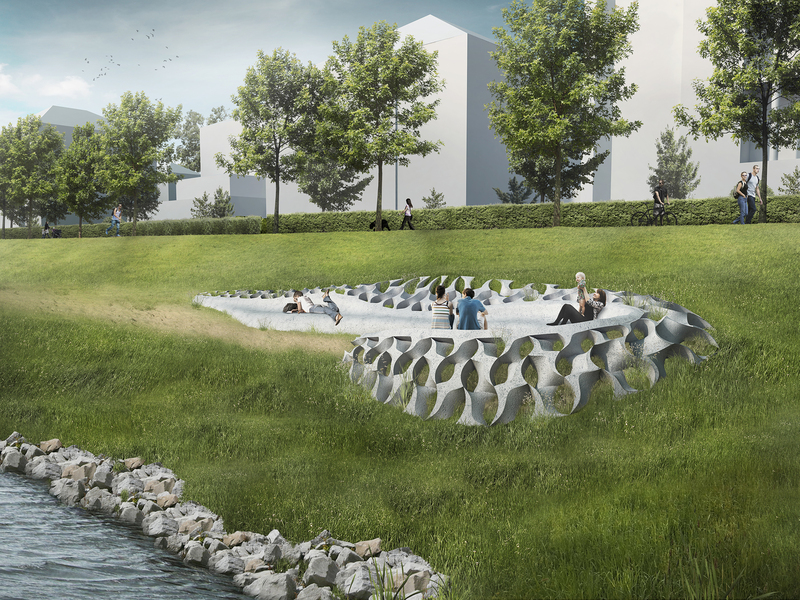 The project aims to offer a new urban experience by giving opportunities of appropriation along the river. “Riverside Lounge” was conceived as a bottom-up design based on a single geometry consisting of two straight and four curved elements and optimized for milling fabrication. An interwoven relief structure is created by rotating and mirroring this single element along a path. 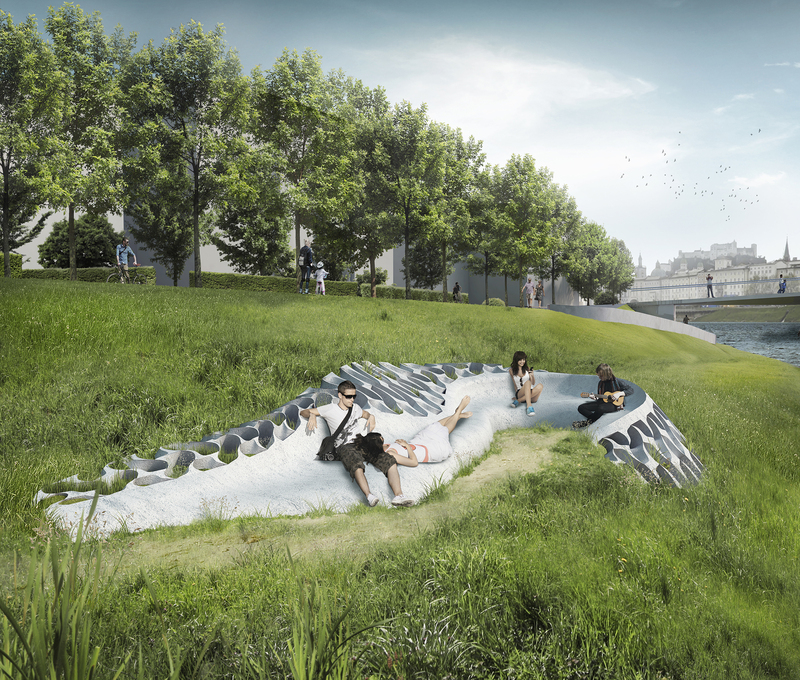 This pattern allows vegetation to grow into the structure creating a new artifact merged with the river bank. The project is composed of precast concrete. 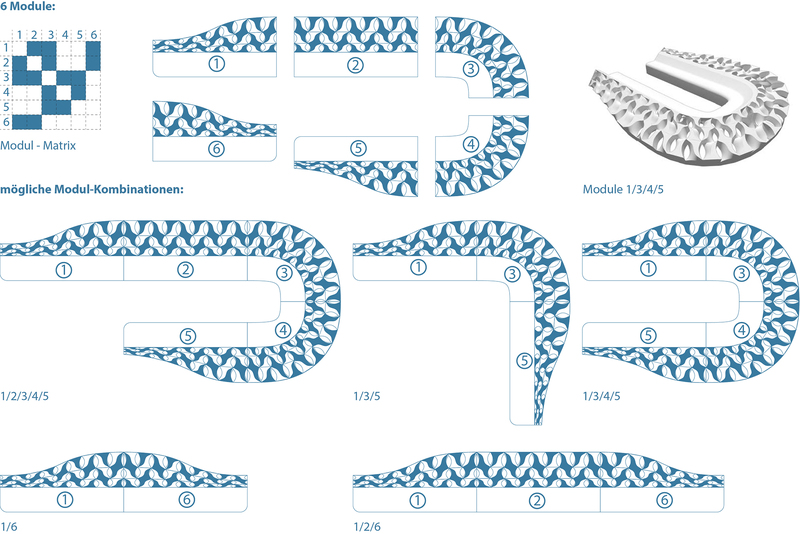 Each module can be reiterated and assembled with other ones to create new spatial characteristics.